Tyler is located in Smith County, Texas and takes its name from President John Tyler. Located 100 miles east-southeast of Dallas, its estimated population is 107,405. The City of Tyler has an ongoing revitalization effort of the Historic Downtown Main Street in place called Tyler 21. The purpose of the plan is to use monies to promote growth within the downtown core. 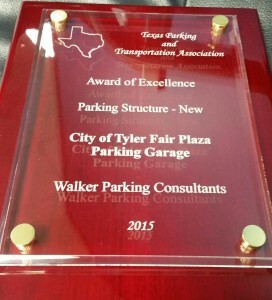 Walker was first approached in 2011, when the City was trying to better understand their downtown parking system and develop solutions that would best represent their mission, Tyler 21. We performed a downtown supply/demand study and preliminary financial analysis for the City. Based upon the anticipated growth and current downtown business parking needs, Walker identified a need for approximately 400 new parking spaces. As a testament of Walker’s work on the study and planning, we were asked to be the prime designer on the City’s first ever parking garage! We utilized a local architect (Butler Architectural Group) and civil engineer (Ballard & Braughton Engineering) as our main subconsultants, and began the schematic design in 2011. 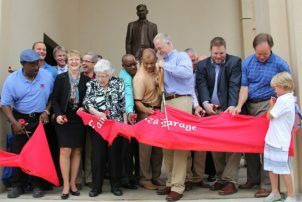 The design intent was to celebrate the history of Downtown Tyler and one of its most influential citizens, R.W. Fair, whose foundation donated the land to the City. Furthermore, we assisted the City with the RFP process for the selection of a Construction Manager at Risk (Manhattan Construction Group). Based on the recommendations from our study, fees for both on-street and garage parking were approved in 2013, pursuant to the commencement of construction. Design of the South Broadway side of the structure was based upon historical buildings demolished in the past, within the downtown core – Tyler Commercial College, Blackstone Hotel and a Smith County Courthouse clock tower element (original clock faces, with new digital mechanics). The bronze statue under clock tower commemorates R.W. Fair. In the summer of 2014 the grand opening was held, and the City opened Fair Plaza Parking Garage. Walker had the privilege of being involved with this project from its inception (by providing study services) through its completion (the ribbon cutting for the grand opening). 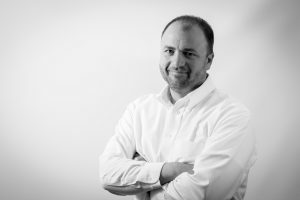 This project reflects the breadth of knowledge that Walker Parking Consultants provides to clients. 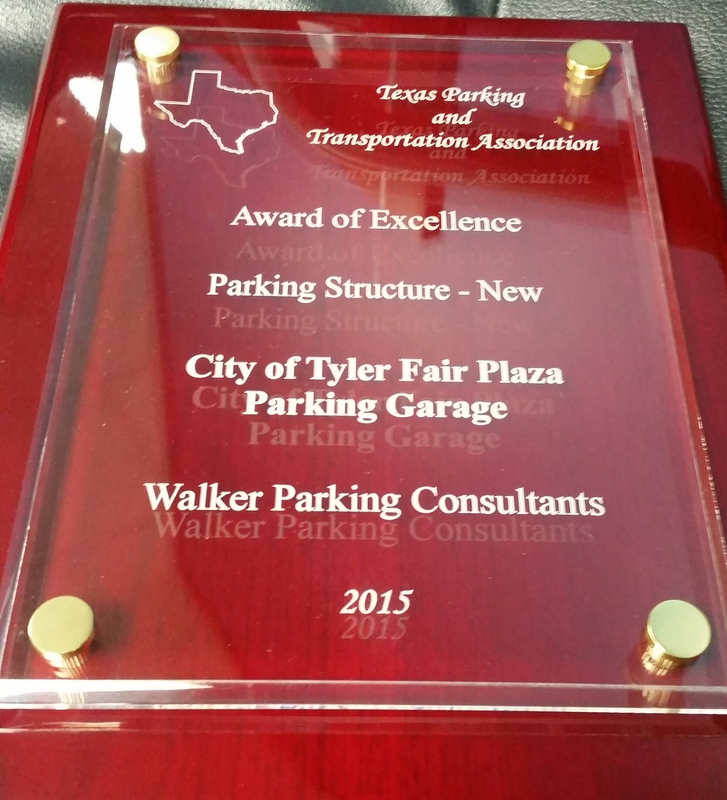 Walker is proud to share that two weeks ago, this project received the 2015 Award of Excellence from the Texas Parking and Transportation Association (in the Parking Structure – New category). It was truly our pleasure to work with the design and construction teams, and this wonderful municipality. If you have any questions about this client/project, please feel free to contact one of our senior parking consultants in our Houston office (and project manager of this project), Chad Snyder.